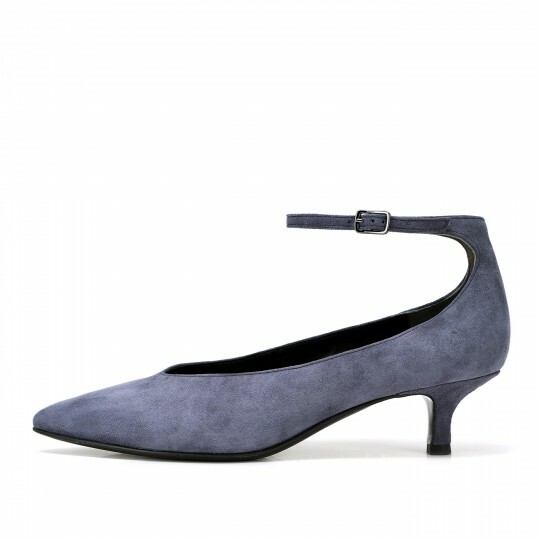 PARI is a kitten heels crafted in lambskin suede leather together with genuine leather from insole to outsole. Following to a stylish pointy-toe design, there is an elegant almond-shape vamp attracting to each other. Furtherly adorned by a slim ankle belt with a polished buckle, it is absolutely a perfect pair for all-day-long in ultimate style. RABEANCO finely selected lambskin suede leather and lambskin leather.